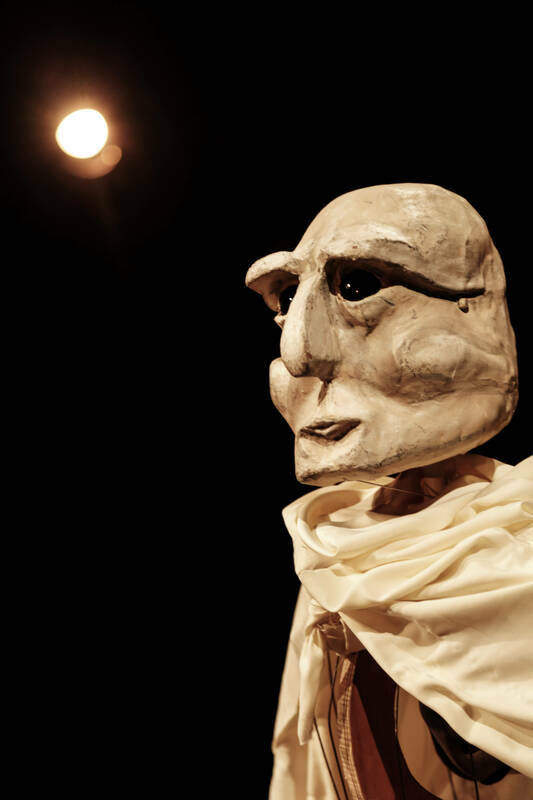 A piece of impressive puppet-theatre with powerful live music, Boulder follows the mythical struggle of one man, rolling a colossal stone. 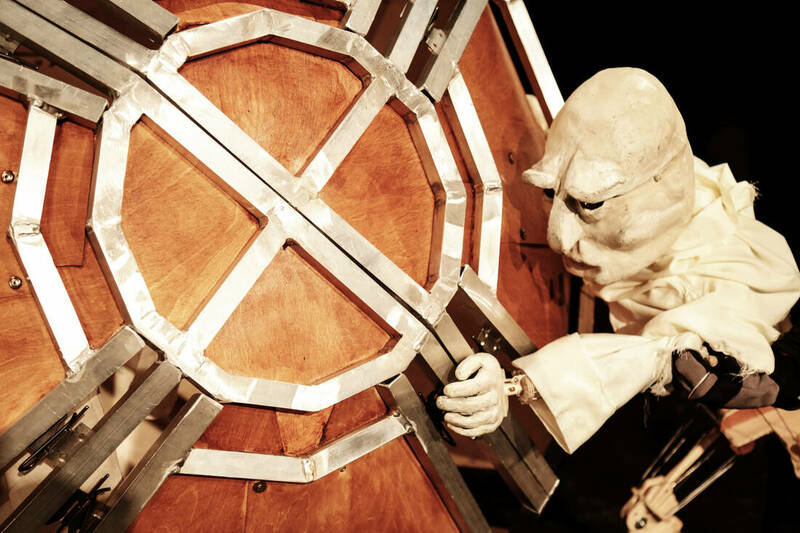 In this reimagining of the Greek myth of Sisyphus, a beautiful mechanical puppet struggles and strains to move a giant, burdensome boulder. Doomed with the hopeless task of pushing the heavy weight up a hill, he is condemned to watch it roll back to the bottom each day. He pushes, strains, cheek-braced, trudging uphill, exasperating attempts to reach the top, and the relentless walks back down. Trapped in an endless cycle, we see the man wrestle with his pointless existence, and curse the futility of his life. Augmented by hand drawn, earthy animation Boulder fuses live action and digital. Within this intriguing blend emerges fluid transformations of set and scale as this trickster plays within the confines of his situation. There is violence, frustration and despair, all mocked by the unconquerable rock. But in the devastation of defeat, can he find solace in the task he so resents? Accompanied by live cello and atmospheric voices, with original music composed and performed by Avi Simmons. 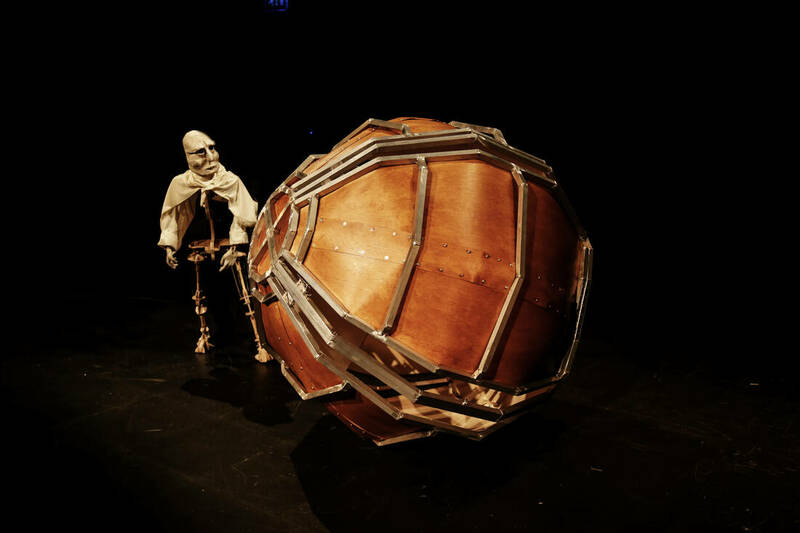 Boulder supported by the Marlowe Theatre and co-commissioned by Warwick Arts Centre & ACE. Boulder Teaser from Half a String on Vimeo.